Khalaktyrskiy beach is one of the most popular and visited places Kamchadals and tourists. 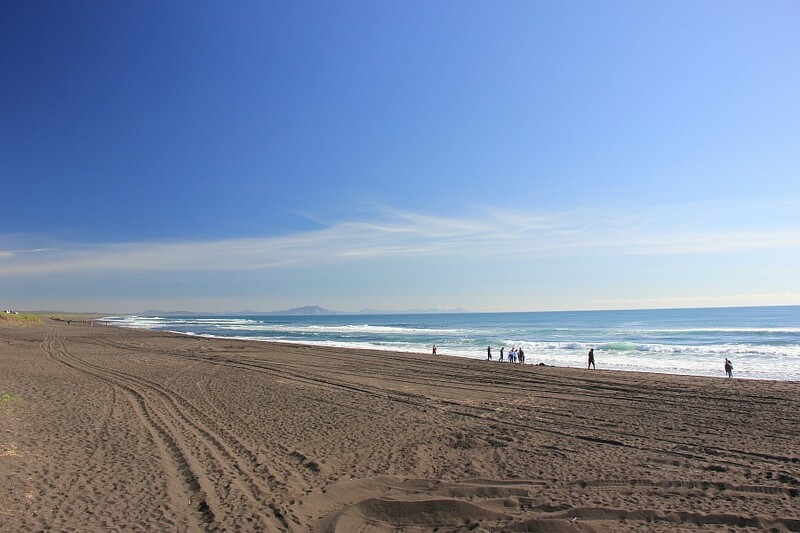 This is a direct Avacha Bay Beach, where you can experience the full power of the Pacific Ocean, enjoy the endless horizon, enjoy the sea air and the purest black sand. A trip to the Pacific Ocean will bring you great pleasure. It is believed that there is the most beautiful sunrise. Around the amazing nature, you can posobirat berries, sea rose, which is then dried, and then brewed, it turns out very tasty fragrant and useful drink as well as blueberries, blueberries and more. etc. Tour price: 2 000 rubles from the 1st person. bathing suit, sunglasses, insect repellent (protection against blood-sucking insects), small backpack for personal belongings, photo video equipment.